In today’s modern age of football a lot can be said about players that spend a complete career at one club and when you take the time to think of some of those names most people would say Ryan Giggs and Paolo Maldini. Two great players with incredible careers at Manchester United and AC Milan respectively and up until this past week Ryan Giggs was also the record holder for most wins with one club with 589, from 1990 to 2014. There is a name in football that normally goes forgotten when talking about players that have made their mark at a single club, that name is Rogerio Ceni. This past week the 41 year old Brazilian goalkeeper, who has played for 22 years for his beloved Sao Paulo, broke Ryan Giggs record when Sao Paulo beat Goais 3-0 to earn him his 590th win of his career. All 590 wins have been while playing for Sao Paulo, which is an incredible achievement, by an incredible player. It has taken Ceni 1173 games to reach this incredible milestone, while it only took Giggs 963 games, but that does not diminish the incredible achievement of holding the most wins by a player at a single club. 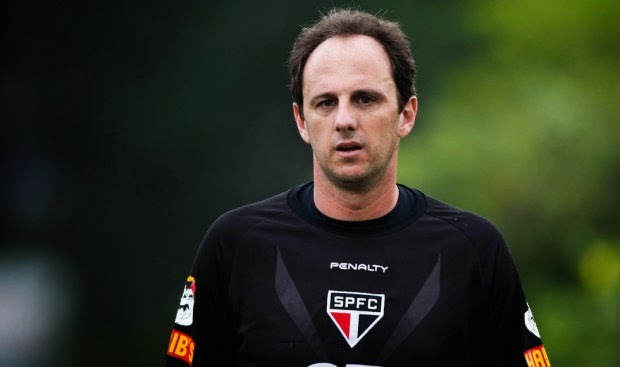 Ceni has plans to retire this upcoming December and put an end to an incredible career that saw him win the 2002 World Cup with Brazil in Japan/South Korea, score 123 club goals from either the penalty spot or free kick and helped Sao Paulo win two Copa Libertadores and one FIFA World Club Cup in 2005. Ceni has an illustrious career and is without a doubt one of the true iron man of the footballing world, but the fact that he spent his whole career at Sao Paulo in Brazil may have hurt his exposure to a more media driven world outside of Brazil. One would argue that for a player of his quality and curriculum he is a virtual unknown outside of Brazil, and that while not damaging his legacy has hurt his exposure and the ability of him being better recognized for his achievements. I am sure as he approaches his retirement he does it without a single regret in having represented the club he has always loved and supported, and that being an icon for Sao Paulo and having had the career he has had is enough for him. He doesn’t need any other accolades; his legacy at Sao Paulo makes him an immortal in the eyes of the club’s faithful.